By all appearances Jonathan Trefoil is living the dream. He works in marketing in New York City and has a stunning girlfriend who everyone would tend to think is well out of his league. He knows his life isn’t all that fantastic, of course. Marketing involves getting excited about stationery and hanging around trendy, trendy hipsters with a penchant for verbing nouns. And his girlfriend Julie sees him as a bit of a curio. She knows it. He knows it. What’s more, Jonathan’s dogs know it. They’re not even his dogs – his brother flew off somewhere too exciting for dogs, let alone Jonathan, and left Dante the bordercollie and Sissy the spaniel cooped up in Jonathan and Julie’s increasingly cramped apartment. Julie can’t stand them and thinks they’ve got it in her for. 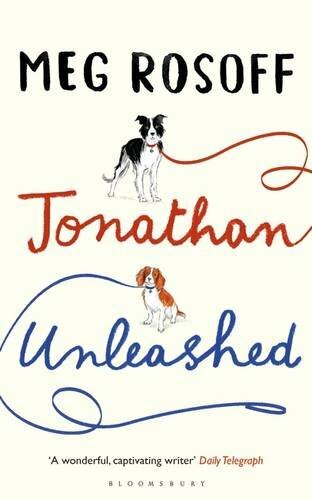 He can’t admit it to her, of course, but Jonathan’s already got his suspicions that the dogs are taking over his life – and in more than one sense of the phrase. There’s a definite Adrian Mole vibe running through this novel. Jonathan is overly introspective and insecure, as disbelieving of his good fortune landing Julie as everyone else, and frequently spends time indulging daydreams and other fantasies. Some of them feed the grand comic book slash novel he’s working on called New York Inferno, recasting everyone he knows (and everything that annoys him) in a version of Dante’s (the poet’s, not the dog’s) Hell based on New York City. Whether Dante and Sissy really are showing a sentient concern for Jonathan’s life and are trying to nudge him in a better direction, or whether he’s just projecting on to them his own sense of self-doubt, is a nice joke that Meg Rosoff keeps going for much of the book. The novel manages to pivot around its furry plot devices without actually being a very dog-heavy book, so even this cat person wasn’t put off. And it’s a bit more cheerful than Rosoff’s How I Live Now too.